Temporarily out-of-stock, shipping times may vary. For current availability, please contact us. 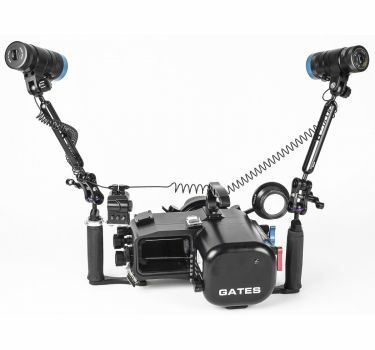 Includes the Gates Housing, GP34A Port, along with two Kraken 5000 lumen lights and more! 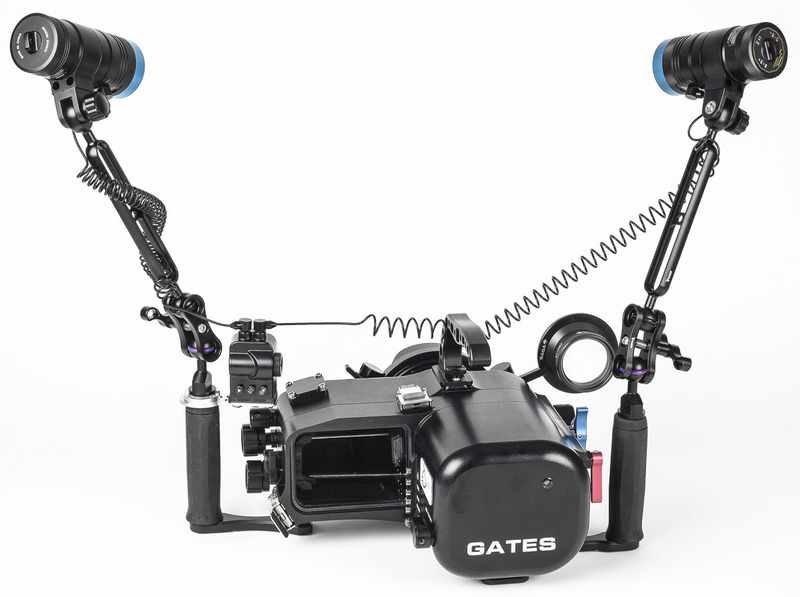 If you’re serious about underwater motion imaging, the Gates AX700 / Z90 system is for you. It has…well, just about everything. 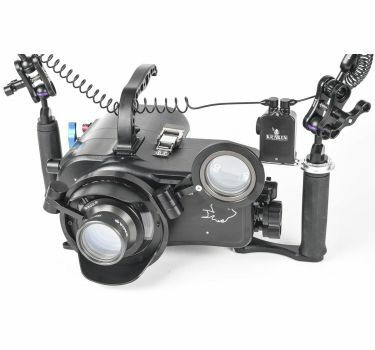 Recreational divers will appreciate the compact size, ‘point and shoot’ instant auto focus / exposure, and easy to see angled camera LCD viewfinder. Want more control? Manual controls include exposure (iris, gain, ss), WB, flip color filter, ND filter and 3 assignables. Professionals get even more: 4 hours+ battery life recording on 2 SD cards, 4K HDR HLG multiple format recording, and optional surface feed SDI. • Direct access to all key controls including A/M Focus, Exposure (Iris / Gain / Shutter), Variable Rate Zoom, Record and ND Filter. • A variety of accessories such as carry handle, tripod, and more. 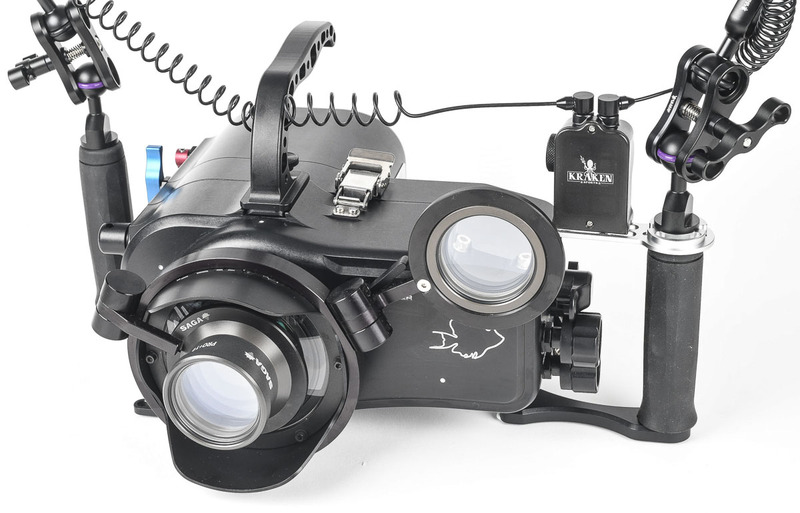 • SAGA flip diopter holder for one or two lenses for flip-in super macro imaging included! And yet there’s more. 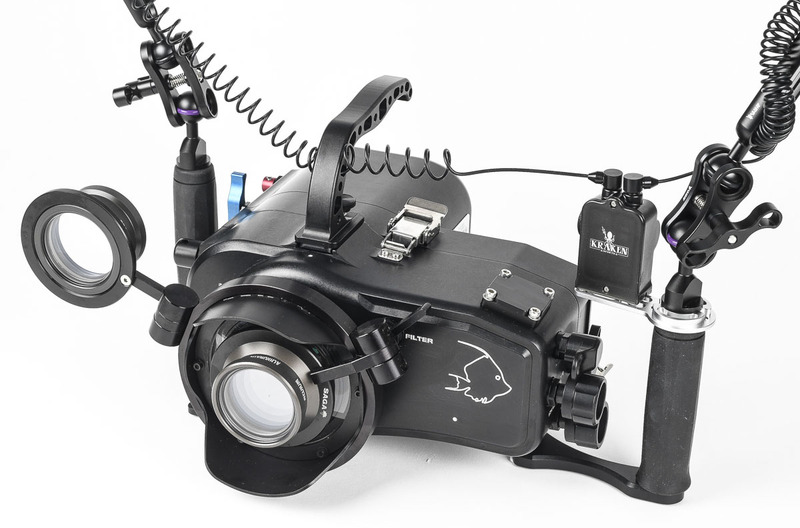 The camera 12X optical zoom + Gates GP34A Wide Angle Port + (optional) SAGA flip diopter means the biggest optical range of *any* underwater system. 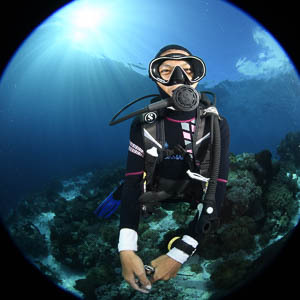 No lens changes required for over 100° wide angle to super macro all on the same dive. And of course, the AX700 / Z90 Housing is a Gates. “Bulletproof” reliability. 2 year renewable warranty. Legendary support. Don’t take a chance…. take a Gates! A practical ‘all in one’ port, the GP34A performance ranges from Mantas to Nudibranchs. A Gates workhorse. The optical acrylic (perspex) outer dome element is field serviceable / replaceable. Gives a 100 degree field of view. 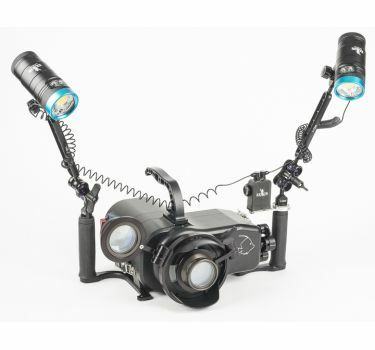 The Kraken Hydra 5000+ lumen light has 2 buttons for ease of use, a water resistant light head for flood protection, as well as spot, flood and red beams. 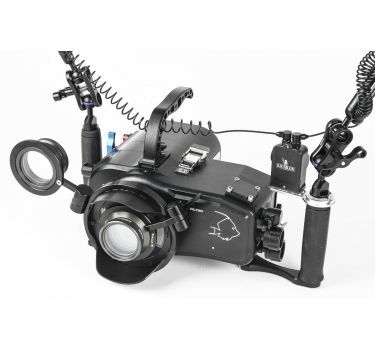 It features a COB LED for the best, and most uniform, flood beams for your photography and video needs. The LED which provides a CRI of 90, compared to 82 on the original version. This gives a better 5000K accuracy. 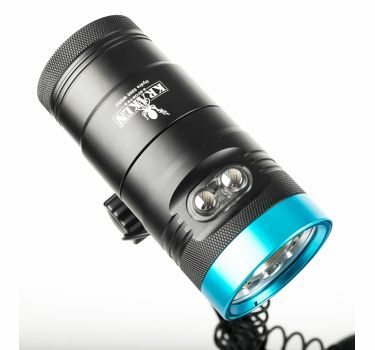 New is the ability of the light to flash quickly to 7000 lumens when triggered by a fiber optic sync cord (not included) from your camera flash, working much like an external strobe. 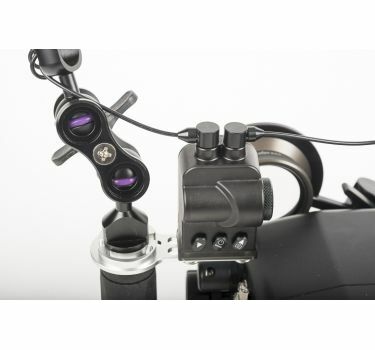 This 5000+ Video Light also comes with the added feature of having a Spot and UV light along with the Wide and Red light. 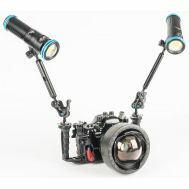 So it can be used as a regular dive light, or as a focus or video light as well. 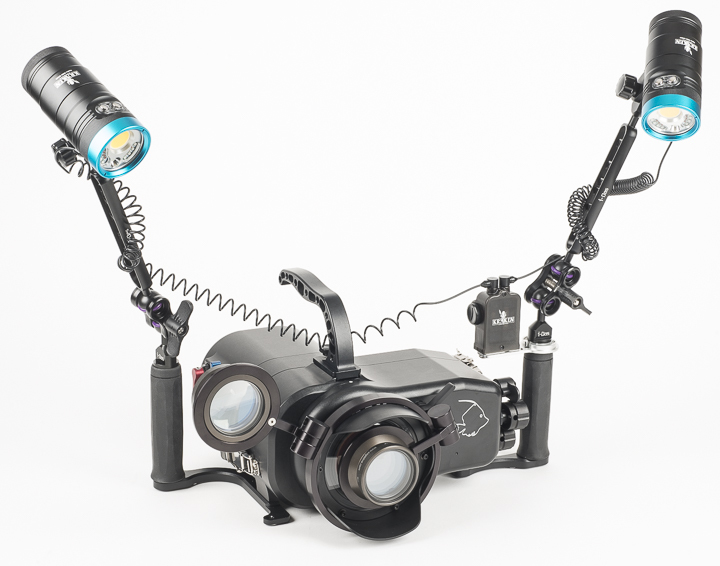 Divers who want to shoot fluorescent photography will have a strong light source. The two button layout mean that you use one button to select the mode, and the other to select the output level. No hard-to-remember sequences on a single button. All of the lights utilize multi-cell battery packs, with quality, fast chargers. Recharge time is about 2.5 hours from a completely drained state. Extra battery packs are available. 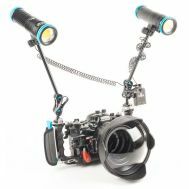 The Kraken Hydra lights come in a complete set that includes ball and YS style mounts, spare orings, charger and a carrying case. 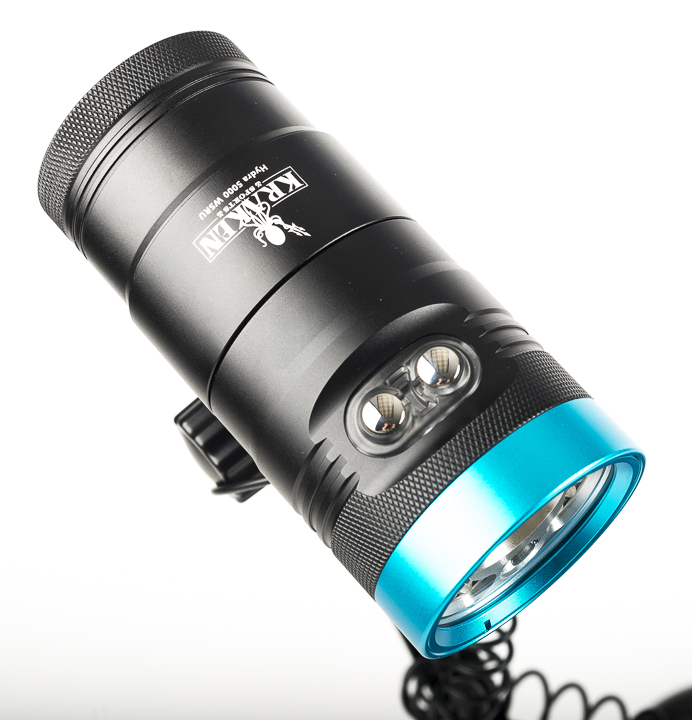 Optional upgrade to the Kraken Solarflare Mini 8,000 lights available. 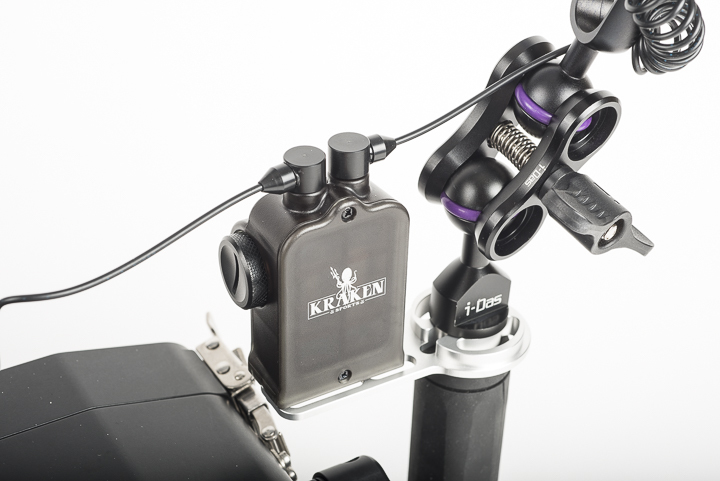 Kraken Remote Control for Lighting at Your Fingertips! 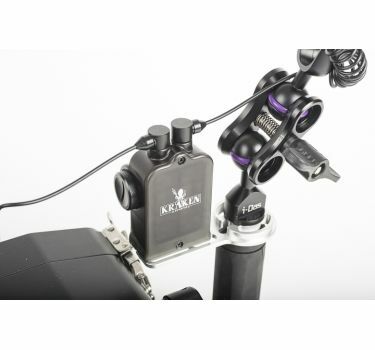 Adjust your Kraken Video lights from your fingertips with the Kraken Remote Light Controller! No reaching up to the outstretched light and fumbling to push the button, or turn the knob! You can control one or two lights together, or independently through fiber optic sync cords. You can control their mode or intensity, even put them into sleep mode to save power. The remote uses small blue LED lights to show it's operation. 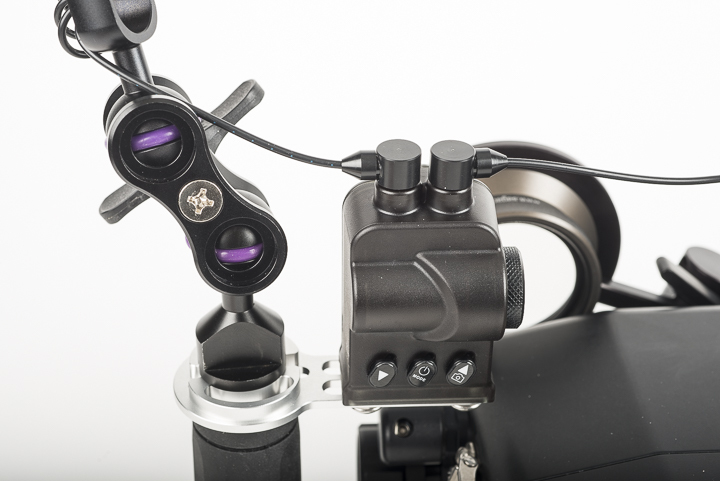 For the tiniest critter imaging, SAGA Dive designed and manufactures this Gates-quality flip in diopter holders. Made from anodized Duralumin it is compatible with all AX100 ports. Paired with the GP34, you have the widest range of imaging available in a single setup from Mantas to Pygmy Sea Horses. This model holds two macro diopter lenses. Allows for more choices underwater and you retain the ability to also flip down the Gates internal red filters. Saga macro lens 5 "Medium" is the smallest and lightest, and it's ideal for taking macro pictures with a reasonable amount of depth of field. The Saga +10 macro lens "High" allows for pictures without approaching too close to the subject to shoot and allowing more magnification power.